The use of some drugs, or simply a poor diet can cause an imbalance between yeast and good bacteria in the intestinal tract, which can in turn bring about some of these issues. 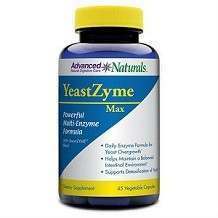 Good yeast treatments are developed to balance the pH levels and alkaline lines in the body. 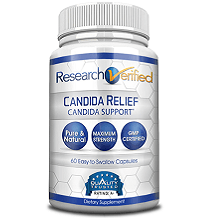 This produces an acidic environment in the body that makes it impossible for the candida yeast to thrive or even survive. The good news is that yeast infections can usually be reversed with a change in diet and good supplemental treatment. The manufacturer recommends taking three (3) capsules daily before bed and at least two hours after a meal. The manufacturer does warn to consult a physician before using this product if you are pregnant, nursing, trying to conceive, taking medication or have a medical condition. This product seems to do what it claims to do, but it is unfortunate that it does not have any form of guarantee. Furthermore, there is no FDA clearance for this product.